The contribution of the ancient Greeks to modern western culture is incalculable. In the worlds of art, architecture, myth, literature, and philosophy, the world we live in would be unrecognizable without the formative influence of ancient Greek models. 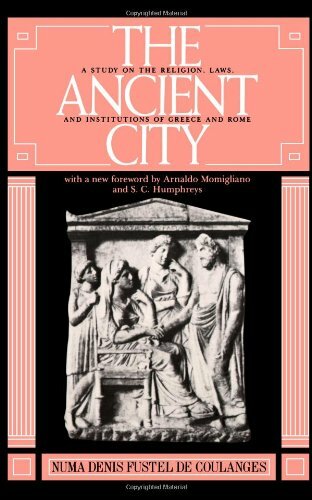 This highly original and stimulating introduction to ancient Greece takes the city as its starting point, revealing just how central the polis ("city-state" or "citizen-state") was to Hellenistic cultural achievements. 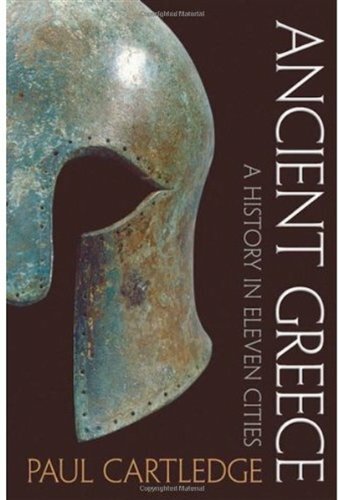 In particular, Paul Cartledge uses the history of eleven major Greek cities--out of more than a thousand--to illuminate the most important and informative aspects of Greek history. The book spans a surprisingly long time period, ranging from the first examples of ancient Greek language from Cnossus in Crete around 1400 BC to the establishment of Constantinople (today's Istanbul) in 324 AD on the site of the Greek city of Byzantion.Cartledge highlights the role of such renowned cities as Athens (birthplace of democracy) and Sparta, but he also examines Argos, Thebes, Syracuse in Sicily, and Alexandria in Egypt, as well as lesser known locales such as Miletus (home of the West's first intellectual, Thales) and Massalia (Marseilles today), where the Greeks introduced the wine grape to the French. The author uses these cities to illuminate major themes, from economics, religion, and social relations, to gender and sexuality, slavery and freedom, and politics. And throughout, the book explores how these eleven cities differed both from each other and from modern society. About ten pages into this, I found the book confusing (yes, I did finish it).It wasn't that it was hard to read (although like many academics I've been reading recently Cartledge's phrasing is awkward, his jokes fall flat and he takes to inventing words).It was really that I wasn't sure exactly what he was trying to achieve- and yes, I read the introduction. It seems Cartledge wants to give an "introduction" to the "themes" present in Ancient Greek history.He wants to do this quickly by offering a brief history in rough chronological order of 11 important cities or, as we might want to say in this case, poleis (plural for polis or, roughly, city-state).He does spend a few pages explaining that while we talk about the city, the city always included attached or associated country-side areas where the majority of the populations usually lived.Thus, we're looking at a city-focused culture rather than an urban one.Good to know- but then he does pretty much nothing with that theme for the rest of the book. The cities he covers are Cnossos, Mycenae, Argos, Miletus, Massalia, Sparta, Athens, Syracuse, Thebes, Alexandria and Byzantion.You know more than half of these if you have a working knowledge of Greek myths (FYI, he spends very little time talking about the mythology except to cite it's historical implausibilities- and that's not a criticism).You also know some of these cities under different names- Massalia is the modern-day Marseilles, and Byzantion has been known as Constantinople and Istanbul.There were, of course, many other cities he could have covered (I'd still like to know why Corinth and Megara didn't make the cut), but he gives good reasons for why he chose these to cover the range of influences that Greece exerted.He also does successfully make the point that the concept of "Greece" or even "Greek" came much later than identification with the polis, and that even when it did, it hardly discouraged conflict. Of course he spends a lot of time on Athens and just about apologizes for doing so.He also spends a fair amount of time on Sparta, in part to debunk stereotypes (Sparta was NOT more evil than Athens, and Athenian democracy was both politically expedient and limited by design).He notes that the Athenian model was looked upon with suspicion up until the 1830s when the United States repopularized the idea. A good amount of time is spent on Alexandria, and part of that is to discuss some of the rise and conquests of Alexander the Great of Macedon (no, Macedon does not get it's own section).But not too much.By the time we're done, he's moved onto Ptolemy, sidetracked a little into the Seleucid empire, moved back to Cleopatra, Antony and Caesar and recounted the destruction of the legendary Library of Alexandria.All in 18 pages. Athens had a BS democracy; Spartans were a people of few words.Early civilization thrived at Cnossos in Crete.The "Greeks" had a bunch of cities on three continents (Europe, Asia and Africa).But... so what?Why?What was the impulse or idea, other than survival?Strangely enough, the theme of trade is rarely mentioned here.There was *something* about Greek or Hellenic civilization that was special enough to be emulated by the Romans and their cultural descendants, but the end of the book, we're still not sure exactly what that was. It's not an entirely useless book- I didn't realize that Linear A was a Semitic language, for instance and it has a useful glossary, timeline and "who's who"- but this is only going to make you want to read more, and not necessarily in the good way. One of the most readable summaries of the Greek experience I have read in years. This book provides a quick overview of Greece. Though this has some great images of ancient artefacts, it is not an extremely light read. If you have an interest in Greece this is a good start, though. I appreciated Martin pointing out that, in many ways, what we know of Greek history is actually a history of Athens, and therefore, not truly Greek history--since the various city-states of Greece had very different cultures and methods of operation. Here is a scholar who thinks (page 113) that Athens, not Atlanta, is the capital of the state of Georgia, and that it is vital to the reader of his 202 page tome that the (rather insignificant) city of Sparta, Tennessee, "...was the setting for the famous movie of pre-civi rights racial intolerance, starring Rod Steiger and Sidney Poitier, In The Heat of The Night".Wow, thanks for sharing that in a history book about Greece - VERY PERTINENT! Seriously fellow lovers of culture - do not buy this awful book. For a book of such brevity, this is a remarkably full accounting of the Ancient Greeks. As Cartledge observes, ancient mainland and Aegean Greece included over 700 individual city-states (poleis), as well as hundreds more Greek colonies and trading-posts along the rims of the Mediterranean and Black Seas. 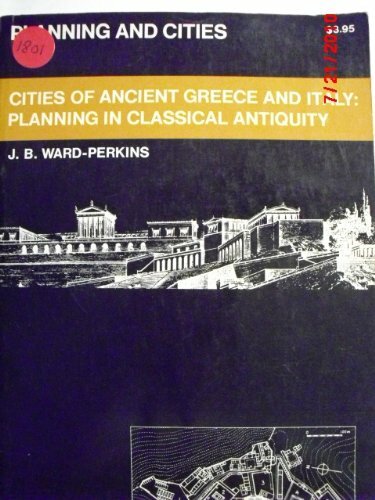 Thus it is salutary that Cartledge chooses to approach ancient Greek history through the technique of considering 11 representative Greek city-states in 11 successive chapters, and an Epilogue. 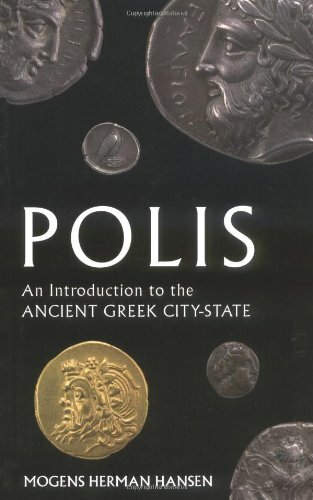 This is appropriate, as the polis remained the fundamental unit in over two millennia of Greek History, even when under the later hegemony of such Great Powers as Macedon, Rome, and Constantinople. The poleis Cartledge chooses are as follows: Prehistory: Cnossos (on Crete) and Mycenae; Dark and Archaic Ages (ca. 1000-500 B.C. ):Argos, Miletus, Massalia, and Sparta; Classical Period (500-330 B.C. ): Athens, Syracuse (on Sicily), and Thebes; Hellenistic Age (ca. 330-31 B.C. ): Alexandria; and, finally, Byzantion (later Constantinople and Istanbul). As Cartledge makes clear, this list of necessity leaves out many other worthy contenders such as a Black Sea settlement (though Byzantion is on the narrows of the Bosporus, which lead into the Black Sea); the significant North African city of Cyrene, on the eastern Libyan coast (though Alexandria is later placed some 400 miles east, on the coast of the western Nile Delta); or a city of Magna Graecia (mainland Italy), maybe Cumae, on the Bay of Naples. 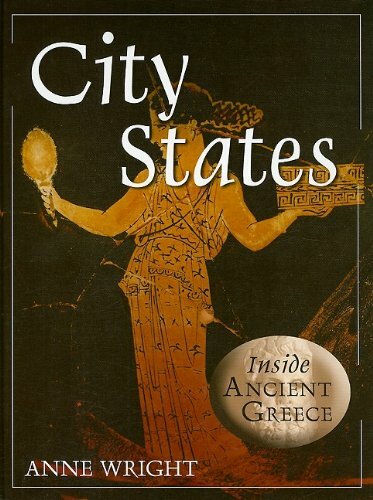 Through the cities Cartledge DOES choose, he is well-able to narrate the history of Ancient Greece, including the Minoans on Crete; the Mycenaeans on Crete (after 1400 B.C.) and the mainland (Mycenae, Argos) who used Linear B, (deciphered as the earliest known written form [ca. 1400 B.C.] of Greek by Michael Ventris in 1952) mainly for taxation and inventory purposes; colonization; the rise of tyrants; the Greco-Persian Wars (ca. 500-479 B.C. ); the Peloponnesian War between Sparta and Athens (431-404 B.C. ); the ascendancy of Thebes (early 4th c. B.C. ); the rise of Macedon (ca. 338 B.C. ); and the coming of Rome (2nd c. B.C.). Professor Cartledge's mind is clearly brimming with a lifetime's learning, and he ranges with alacrity across this sweep of time and geography. This is the first book by Cartledge that I have read, and I quite enjoyed it. He has an engaging style, often leavened by humor. As the book was published in 2009, Cartledge is able to incorporate the most recent scholarship, often archaeological. We learn that a Linear B tablet was found at Thebes with a word that looks like "Lakedaemon," the southwestern region of the Peloponnese which includes Sparta, and is mentioned frequently in Homer as the home of Menelaos, King of Sparta, original husband of Helen (later "of Troy"). No Mycenaean palace (as would have housed King Menelaos), has yet been found in Lakonia, but recent surface finds of Linear B fragments in the vicinity of Sparta offer tantalizing prospects. Also, in Athens, the recent tunneling for the new subway uncovered mass graves, probably from the plague that swept Athens in 430-29 B.C. and took the life of Pericles (builder [and rebuilder] of the sacred structures on the Athenian acropolis) and countless other Athenians. In his narrative, Cartledge notes some interesting facts. He states that Sparta was by far the largest Greek polis in terms of land area, followed by Syracuse, and Athens/Attica in third place. He mentions that at the height of its "Athenian Empire," (ca. 440 B.C.) Athens was collecting 1,000 talents a year from its "allied" poleis, an huge sum not to be equaled by a Greek power until Alexander the Graet pillaged the seemingly limitless wealth of the Persian Empire after 331 B.C. Cartledge also makes the important point that, to the "Old Greeks" in the eastern homelands, the colonies of Sicily, Italy, and the western Mediterranean, represented the "Golden West:" a region of rich agricultural lands and favorable settlement sites. Indeed Sicily, known as a breadbasket and land of sumptuous local coinages, exerted a powerful pull on the Athenians' imagination; and fantasies of riches led to the Athenians' ill-fated Sicilian naval expedition in 415-13 B.C. This horrific defeat at Syracuse planted the seeds for the Athenians' final defeat by Sparta in 404 B.C. Cartledge brings the narrative full-circle by ending with Byzantion. Originally founded as a colony of Megara (on the eastern coast of the Isthmus of Corinth) in 688 or 657 B.C, Byzantion controlled the trade-routes to the rich grainlands of today's Ukraine and south Russia. Constantine moved his main capital from Rome to Byzantion (renamed "Constantinople") in 324-30 A.D. Here Latin was the official language until the reign of Justinian the Great (527-65 A.D.). Later, as the capital of the "Byzantine Empire," (through 1453 A.D.) the inhabitants spoke Greek, but continued to call themselves "Romans." To me, Cartledge's book is a compact but rewarding read. However, as some other reviewers note, it may not be the ideal introduction to someone who knows very little about Ancient Greece. If you paid attention in a decent college survey of Ancient Greek History, much of the book should be familiar. But if there are too many names and places coming too fast, I would suggest reading Cartledge's "Ancient Greece: A History in Eleven Cities" along with H.D.F. Kitto's "The Greeks" (1951), or Moses Finley's "The Ancient Greeks" (1964), both short treatments that will further flesh out the details. The maps in Cartledge's book are quite good, and there in a helpful Glossary, Who's Who, and suggestions for further reading. All in all, a very good book. Tour 11 cities and a few millenia of history! Anyone who visits Greece is drawn to visit the Acropolis of Athens. It houses the Parthenon, sitting majestically on the hill, and offers terrific views of the bustling capital below. Go early or late in the day to avoid the afternoon heat. Mid-day, visit some museums or relax in a cafe with an ouzo. Athens is loaded with museums, and the National Archaeological Museum ranks among the top ten in the world. The Plaka, located downhill from the Acropolis, is one of the oldest parts of modern Athens. The old market, where philosophers Socrates and Plato once walked and talked, is known as the Ancient Agora. The Psiri, working class neighborhood by day, is the hip nightlife district. All these sites, places, hotels and metro stations are easy to locate with the STREETWISE® Athens Map. For those venturing outside Athens, there is a detailed map of the port town of Piraeus, where all ferries and cruise ships make their departure for the Greek Islands. And because no trip is complete without visiting at least one Greek Island, a map of the Greek Islands with major ferry routes is also included. Perfect map for a quick trip! Used it last week in Athens.Very easy to use.Accurate.Lists metro stations, neighborhoods and city highlights.Great map! I'd never travel abroad without a Streetwise map.My wife and I used this Streetwise Athens map this summer, and it was terrific!Detailed and up-to-date, it's also plasticized, so even if it gets wet it's still usable.And it's a bazillion percent easier to fold and carry than a paper map.Three cheers for the entire Streetwise lineup! Don't bother purchasing this map.It is too small to be helpful.I was replacing a 2000 map because I wanted updated information on the Athens Metro.The part on this map that shows the Metro stops is so small I would have needed a magnifying glass to read the stop names.To be compact the map breaks the city into two halves with one half on one side and the other half on the reverse.I like to have a general sense of how neighborhoods fit together.This half and half arrangement limited the usefulness of the map for me.I returned the map.It wouldn't have worked for me at all. All the Streetwise maps are the best tool when traveling.I have even purchased ones for cities that are on list of future travel plans.The Athens map had everything I could ever want to experience.The Metro stops are clearly identified and it made for very easy navigation around the city. 4. 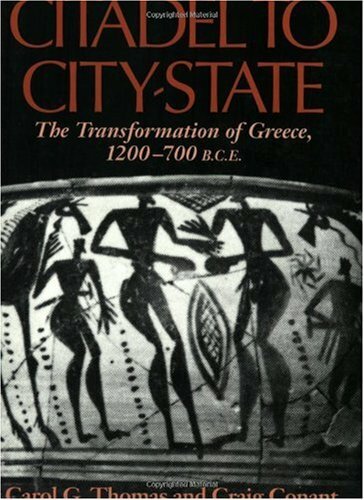 Citadel to City-State: The Transformation of Greece, 1200-700 B.C.E. The Dark Age of Greece is one of the least understood periods of Greek history. A terra incognita between the Mycenaean civilization of Late Bronze Age Greece and the flowering of Classical Greece, the Dark Age was, until the last few decades, largely neglected. Now new archaeological methods and the discovery of new evidence have made it possible to develop a more comprehensive view of the entire period. Citadel to City-State explores each century from 1200 to 700 B.C.E. through an individual site -- Mycenae, Nichoria, Athens, Lefkandi, Corinth, and Ascra -- that illustrates the major features of each period. This is a remarkable account of the historical detective work that is beginning to shed light on Dark Age Greece. This is a well organized work of an understudied era - Greece between the collapse of the Bronze Age and the beginnings of the Classical era. This so-called Dark Age may lack a literature or the intriguing art and sudden collapse of the bronze age, but is interesting nontheless. This work is pleasant to read, and I recommend it to anyone interested in ancient history. Classicists are an odd bunch.They took a specific geography and a specific time period handed them by Renaissance Italians and created an academic discipline divorced from other segments of archeology, architecture, history and literature.This discipline is "Classics. "Classicists are often territorial.Mary Lefkowitz's Black Athena Revisited pays lip service to the idea that a non-classicist could study the period but then blasts anybody who does (especially Martin Bernal) as "amateurish. "The non-classicist historian, Michael Parenti, questions even the motives of classicists.In the appendix on sources to his 2003 The Assassination of Julius Caesar, Parenti states: "Most present-day historians of antiquity seem determined to make [classic sources] inaccessible, a fact that itself might be indicative of the pedantic and elitist nature of their training" (223). This elitism and inaccessibility creates a false image of the classical world.Everything from the Fall of Troy (c. 1200 BC) to the Sack of Rome (476 AD) exists at one time.Homer, Socrates and Caesar would hangout together and grab a beer! M.I. Finley comments "The human mind plays strange tricks with time perspective when the distant past is under consideration: centuries become as years and millennia as decades" (7). Fortunately, I have just read two works that seek to break down ivory walls of classicists and try to build a real image of the timeframe from The Fall of Troy to the rise of Archaic Greece.M.I. Finley delves into the social construction of Homer in his 1954 (1974) The World of Odysseus. In their 1999 From Citadel to City State, Carol Thomas and Greg Conant, meanwhile follow the archeological evidence to see how Classical Greece arose from the ashes that ended Mycenaean Greece. Homer was once thought to have been a Bronze Age Greek.His Iliad was nothing more than a poetic version of Ernie Pyle's war correspondence.Yet we now know that the Iliad and the Odyssey were written down in their current form in the mid- to late- Eighth Century BC.This means that the epics exist in two periods what modern historians would refer as the Late Bronze Age and the Archaic Age. The first age, the Late Bronze Age, is home to the fall of Mycenae, the Fall of Troy and the arrival of the mysterious "Sea-Peoples. "It is unknown from the archeology if these three events are in anyway connected.Yet we do know, according to Thomas and Conant, the power of the Mycenaean wanax (or "king") was abruptly curtailed in at the end of the thirteenth century.While final destruction of Mycenae in 1175 brought down the end of the entire society that any historical Odysseus would have been a part of. The descendants of Mycenaean Greece eked out a survival in a pastoral and hunting existence.In the Early Dark Age (eleventh century), residents of Messenian Nichoria, survived to build a small simple society on the site of the former Pylian outpost.Thomas and Conant suggest that the evidence at Nichoria may point to a social structure similar to the Melanesian "Big Man" society.The Big Man was a community leader not by law or formal structure; instead it was by the personal qualities of the leader.When the Big Man died or lost statue, there was no electing of a new Big Man. What we think of as the World of Odysseus, the Late Bronze Age, is left only in snippets of memories.Literacy had vanished.In order to pass down the knowledge needed by current societies, Thomas and Conant believe they created oral transmission in the form of poetry.With theological, cultural and moral values woven into the surviving stories the oral poets created what Eric Havelock, in his 1963 Preface to Plato, called "The Encyclopedia of the Dark Age. "Thomas and Conant argue: "Nonliteracy and the epic encyclopedia open a number of windows looking in upon Dark Age life" (p. 48). While what we know as the Iliad and the Odyssey are products of the late Eighth Century and they refer to events at the end of the Bronze Age; could the foundations of society represented by actually Dark Age society?Thomas and Conant, as well as Havelock believe this to be true.Finley, in the World of Odysseus, echoes this belief.Finley sees Homer not standing in two time periods, the Late Bronze Age and the early Archaic Age, but in three.Finley places the beliefs and societal structures of Homer in the Ninth and Tenth Century. These noblemen were the head of a household or estate called the oikos.Each head of oikos would have been a representative in a territory's government.The basileus was the "first among equals" in a council of oikos.Finley points to the decision making in the chariot race dedicated to Patroclus.Each basileus had equal right to speak.While each can speak it is not the duty of the leader to mete justice.Finley points to the arbitration of the chariot race in the Iliad and the council called by Telamachus in Odyssey.In neither instance is there a strong central authority who has what Weber termed the "monopoly of violence. "Finley points not to a united state, but a confederacy of oikoses.In both the Iliad and the Odyssey, "The defense of right was purely a private matter" (Finley, 111). With a flatter social pyramid then that of the Mycenaean Age, Dark Age Greece was defined by this oikos.The master, his family, extended family and slaves and servants along with the buildings and fields of this household were the oikos.The archaeology Thomas and Conant find at Tenth Century Athens and Ninth Century Lefkandi supports Finley's belief. (Note that Finley's work based on sociology and cultural anthropology predates much of the archaeology. )And, anyone from outside of an oikos is of subservient status.Lower than even the slave in an oikos is the thes and the trader. A thes is a landless peasant who must work for pay on an oikos.He is therefore outside of the structure of Dark Age Greece.When Odysseus meets Achilles in Hades (Book XI of the Odyssey), Achilles describes the thes as the lowest form of life.Achilles would rather be dead than one of these landless peasants. The second outcast in Homer's world is the trader.According to Finley the trader seeking exchange for profit is anathema to Dark Age society.In his 1973 "Ancient Economy" he rejects any proto-capitalism found in Greece.Finley finds trading beneath the oikos in the "World of Odysseus" pointing to disguised Athena in the Odyssey excusing what can only be seen as trade. Here the archaeology turns from Finley.Thomas and Conant look to Ninth Century Lefkandi and Eighth Century Corinth.Trading from Euboea and later Corinth brought wealth to both centers.In Eighth Century Corinth we find the expansion of pottery production for what could only be trade purposes.As wealth came to both of these regions, the various oikoses began to form more permanent connections. The city-states - polies - of Plato, Herodotus and Leonidas are born from this increase of wealth.Thomas and Conant use Hesiod's own Askra to represent this point.Once Homer was written down and Hesiod was writing his own advice to farmers, Greece was stepping from the Dark Age into the Archaic one.Yet the accidental "nation building" from the destruction of Mycenae to the Seventh Century with its oikos, Olympian pantheon and trade and colonization were the foundations of Classical society. Both Finley and Thomas & Conant use their distinctive expertise to open a window on the lost "Dark Age" of Greece. As one of the authors of Citadel to City State, I believe that it is inappropriate for me to rate it.However, Amazon'sformat forces me to assign a rating to the book and since I am proud of it, I gave it a high rating.I can confess that work invested in the book was rewarding and even pleasant, at least most of the time.And I was happy to learn that the publisher judged it worthy of a paperback edition so that our picture of early Greece might reach more people. Its focus is the centuries between the collapse of the heroic Mycenaean civilization and the Classical Age of Greece, i.e. from a civilization based on citadels to one founded on city states.Once thought to be a long, bleak period in which little of significance occurred, new evidence shows it to be a bridge of transformation from one way of life to another.We track that process by focusing on five individual places that demonstrate the steps in the process, a Plutarch's Lives of Places rather than of People. The Glorious Foods of Greece is the magnum opus of Greek cuisine, the first book that takes the reader on a long and fascinating journey beyond the familiar Greece of blue-and-white postcard images and ubiquitous grilled fish and moussaka into the country's many different regions, where local customs and foodways have remaained intact for eons. The journey is both personal and inviting. Diane Kochilas spent nearly a decade crisscrossing Greece's Pristine mountains, mainland, and islands, visiting cooks, bakers, farmers, shepherds, fishermen, artisan producers of cheeses, charcuterie, olives, olive oil, and more, in order to document the country's formidable culinary traditions. The result is a paean to the hitherto uncharted glories of local Greek cooking and regional lore that takes you from mountain villages to urban tables to seaside tavernas and island gardens. In beautiful prose and with more than four hundred unusual recipes -- many of them never before recorded --invites us to a Greece few visitors ever get to see. Along the way she serves up feast after feast of food, history, and culture from a land where the three have been intertwined since time immemorial. In an informed introduction, she sets the historic framework of the cuisine, so that we clearly see the differences among the earthy mountain cookery, the sparse, ingenious island table, and the sophisticated aromaticcooking traditions of the Greeks in diaspora. In each chapter she takes stock of the local pantry and cooking customs. From the olive-laden Peloponnesos, she brings us such unusual dishes as One-Pot Chicken Simmered with Artichokes and served with Tomato-Egg-Lemon Sauce and Vine Leaves Stuffed with Salt Cod. From the Venetian-influenced Ionian islands, she offers up such delights asPastry-Cloaked Pasta from Corfu filled with cheese and charcuterie and delicious Bread Pudding from Ithaca with zabaglione. Her mainland recipes, as well as those that hail from Greece's impenetrable northwestern mountains, offer an enticing array of dozens of delicious savory pies, unusual greens dishes, and succulent meat preparations such as Lamb with Garlic and Cheese Baked in Paper. In Macedonia she documents the complex, perfumed, urbane cuisine that defines that region. In the Aegean islands, she serves up a wonderful repertory of exotic yet simple foods, reminding us how accessible -- and healthful -- is the Greek fegional table. The result is a cookbook unlike any other that has ever been written on Greek cuisine, one that brims with the author's love and knowledge of her subject, a tribute to the vibrant, multifaceted continuum of Greek cooking, both highly informed and ever inviting. The Glorious Foods of Greece is an important work, one that contributes generously to the culinary literature and is sure to become the definitive book of Greek cuisine and culture for future generations of food lovers -- Greek and non-Greek alike. Moussaka, grilled fish, and feta salad with olives--that's it for Greekfood, right? Wrong, as abundantly proved by Diane Kochilas's masterfulThe Glorious Foods of Greece. For over 10 years, Kochilasinvestigated the vast wealth of Greek cooking, traveling to its islands,cities, mountains, and villages and talking to cooks, bakers, fisherman,farmers, and cheese makers. She listened astutely, and the result is not onlyhundreds of authentic recipes, but a definitive culinary guide. Following an introduction in which Kochilas details, among otherfascinating information, the nature of each region's cuisine (Rooumali andEpirus are shepherds' domains, she writes, "where the reigning food ispita, as in savory pie, hundreds of them...."), she then offerschapter-by-chapter observations with straightforward recipes. These rangefrom mezze (appetizers) and soups to breads, main dishes, sweets, anddrinks. From the olive country of Peloponnesus, for example, readers areoffered the likes of Roast Leg of Lamb with Wine, Garlic, Allspice, andCheese. The Italian-influenced Ionian islands provide Chicken Stewed inFragrant Tomato Sauce with Thick Pasta, among other dishes. Snd fromMacedonia and Thrace come such fare as Roasted Potato Salad with Hot Pepperand Mint, and Leek and Yogurt Pie. I've had Diane Kochilas' first book, The Food and Wine of Greece, for a good fifteen years and has been a trusted source of recipes as one can easily tell from all the food stains on its pages and a pot burn on the cover.I grew up in Greece and appreciated her reliable recipes that are also the real thing, I must have tried almost every recipe in the book.Her lentil soup was better than my mum's and is now a staple in our diet.I have moved countries many times and this was the one cookbook I always took with me.In the years that passed I didn't think I needed more on Greek cooking and instead I improved my French, Italian, Chinese, everything else, cuisine skills.It's a fortunate coincidence that I am now in the States for a few months and left my trusty book behind so I thought I'd give her newer book, The Glorious Foods of Greece a try.I was in for a surprise!The recipes are spectacular, most of them I have never heard of before, and preparing the dishes is as simple and reliable as with the first book.It's true that it is not exactly a beginner's Greek cookbook, but for the standard dishes you can get her first book.If you like Greek food, you just need to get them both!This book is a work of love, both in the collection of recipes and in the informational introductions to regional cooking and the dishes.It also needs to be read with love as the layout is by region so it takes a little bit of work to decide what to pick.This is not a complaint, it is very pleasant work!Highly recommended. The great achievement of Diane Kochilas' The Glorious Foods of Greece: Traditional Recipes from the Islands, Cities, and Villages is that for the first time we are introduced to the regional differences and complexity of Greece cuisine in historical context.This could only be done by someone who traveled a lot and who met people and found their way into people's kitchens.This is what Kochilas did.There is no Greek cookbook close to it, except perhaps the now quite old, but not dated, Food of Greece by Vilma Chantiles. Kochilas properly shows that the whole question of what constitutes Greek food is complex.She correctly and proudly shows, and accepts, that Greek cuisine as with all cuisines have multifarious influences.These influences are embraced and not denied.This is a breath of fresh air from the typical Greek food writer with the nationalistic approach.Setting Greek cuisine into an historical context is difficult because as anyone who has attempted to research early medieval Greece knows, one runs into a wall.As H. St L. B Moss showed in his article "Greece and the Early Medieval West," in Michael Huxley, ed. The Root of Europe: Studies in the Diffusion of Greek Culture Greek influence on western Europe during the so-called Dark Ages is almost a case of lucus a non lucendo. It is the extinction of Greek influence in the West which characterizes this period.There is little evidence from this period.The break between the Graeco-Roman world and the medieval world was nearly total, with the exception of the Eastern church.For several hundred years, under the Florentines, the Venetians, the Catalans, and the Turks, Greece was subjugated.The position of the Greeks during this time is reflected in the documents from these respective occupiers as well as trading nations such as Sicily: the Greeks remain nameless. The recipes are a delight as well.Take for instance two beauts from Crete, pseftokeftedes (false fritters) or tomatokeftedes, tomato fritters made with small fresh tomatoes, scallions, parsley, mint, flour and kouneli tyravgoulos, rabbit with a rich egg and cheese sauce.The entire country gets the Kochilas treatment which means fascinating and delicious recipes that work, embedded with the full flavor of their ingredients as well as their histories and cultural setting.This book is a must in any cook's library.One caveat, though, if you're cooking from this book, it's not for beginners as some recipes need a little tweaking, but frankly, I don't believe that detracts from the book.If you want Greek basics then Kochilas' first book, the Food and Wine of Greece may be a better bet.Nevertheless, this book should still be on your shelf. Beautiful recipes !! I was in a bookstore right before traveling to Greece. Jotted the title down and ordered it upon returning from my trip. A****** rating. Recipes that you don't easily find. Easy to follow recipes and great tasting !! Bargain price on Amazon. $35.00 in store -I think I paid around $3.00 on Amazon for a used issue that looks new !! What a deal. 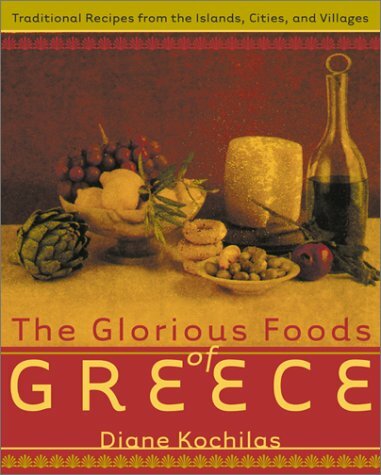 This is an excellent and learned guide to the cuisine of Greece. However we visited Greece and were eager to prepare some of those recipes at home. Not only were the typical Greek-American dishes not included in this book, but the typical taverna food we had in greece was not included either. Technically proficient, but too idiosyncratic for me! From antiquity until the nineteenth century, there have been two types of state: macro-states, each dotted with a number of cities, and regions broken up into city-states, each consisting of an urban center and its hinterland. A region settled with interacting city-states constituted a city-state culture and Polis opens with a description of the concepts of city, state, city-state, and city-state culture, and a survey of the 37 city-state cultures so far identified. This book is the best general overview of the Ancient Greek Polis culture available. The author doesn't waste time on platitudes: He goes directly to relevant points: How these societies functioned? What are the characteristics of an city state culture? How numerous the ancient Greeks were? How important was trade for their economies? What was the importance of cities versus the countryside? All these questions are answered by reference to the best archaeological evidence currently available. The reader is left with a very good notion of how the hellas really was more than 2300 years ago. Highly recommended. Prof. Hansen is the current leading world authority in the studies on the Greek polis, having founded the Copenhagen Polis Centre and published a wide variety of books and papers on the subject. 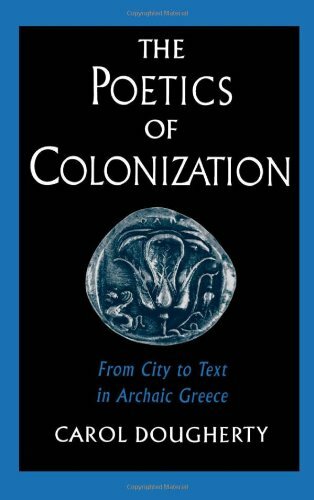 On this book, he discusses the philological aspects of the word polis and its implications, such as the use of the translated term "City-State", and the political, social and cultural traits that define the polis as a particular institutional entity in the Ancient world. This book is a very dense, though short, synopsis of his work so far, and a very welcoming addition to the introductory studies of the Greek world. The chapters are quite small and schematic, so maybe the book could have been a bit longer in order to develop the arguments more thoroughly, but this is no hindrance for understanding the text. Couldn't put it down ! I thoroughly enjoyed reading "The Ancient City". Despite being fairly well read on the subject the book still ended up teaching me a few things about the family hearth rites / religion of the Romans & Greeks, ancestor worship, the religious origin of private property, and the evolution of Greek & Roman religion over time.The author also made some good points about the common misunderstandings regarding classical thought and culture - specifically the tendency of some scholars to turn the ancient Greeks or Romans into modern rationalists and to ignore the more "irrational" (or at least what a modern 'rationalist' would consider as such) elements of Traditional thought. Why didn't I give it 5 stars if I liked reading it so much?Was it for the outdated scholarship that showed up at times?No, that's to be expected in a book this old.My main problem is the authors naive belief in progress and the supposed superiority of modern thought over that of the "primitive"Greeks and Romans. BUT.. if you can look past that then you will find a lot worth reading in this book. Brilliant and unchallenged interpretation of community and City State life in Indoeuropean ancient societies. Fustel de Coulanges, a 19th Century French specialist in medieval history was so flustered by phrygian caps and the demagogic appropiation of "Greek Democracy" as a "model" or "precursor" of modern western democracies, that he decided to shut himself up at home for ten years, accompanied only by Sanscrit, Greek and Latin primary sources to canvas the truest possible reconstruction of ancient political life. Uninfluenced by university politics, he distilled this wondrous book,"La Cité Antique", where we find how these societies voted, made law, married, gave cult to their beliefs, etc. Obviously and by far the ancients didn't do these things as we do them now. "The Ancient City" should be essential reading for Law students and Roman Law courses in particular, even if your current professor omits the book in your reading list. Don't read it if you want to believe that the greeks and romans held primaries in New Hampshire. This work is a discussion and a conveyance of ideas about ancient cities in Greece, and of Rome, with a focus on government, but mostly of laws and of 'private gods'. Rituals of the inhabitants of the ancient cities are especially detailed. There is also a bit on ancient cities of India which I found a little out of place but it wasn't overly distracting. It's a controvesial work, a theory really, based upon whatever evidence that 19th Century French historian Numa Denis Fustel de Coulanges could garner in his day. His theories of 'The Ancient City' are in clear conflict with those of a later French sociologist, Émile Durkheim, (1858-1917). I found de Coulanges' theories quite sensible and plausible, probably not so much influenced by his own personal religion as were the thoughts of Durkheim, (who was Jewish). This book is by no means a page-turner -- but if one is interested in sociology and anthropology, it's a must read. I found it quite enlightening and would recommend it to anyone with scholarly notions. The Ancient City:A Study of Pagan Religion and the Rise of Christianity. _The Ancient City:A Study of the Religion, Laws, and Institutions of Greece and Rome_ is a translation of _La Cite Antique_ of Fustel de Coulanges, first published in 1864, and made available as a translation by The Johns Hopkins University Press.Numa Denis Fustel de Coulanges was a French classicist who devoted his attention to the ancient pagan civic religions of the Greeks and Romans, contrasting this with that of the Indians (Aryans).His ideas concerning this ancient pagan religion were part of a milieu of social evolutionary ideas that included H. S. Maine and J. J. Bachofen.He also wrote on the origins of the Gauls and French society and his ideas concerning their Roman origins were put to use by various extreme rightist organizations such as the Action Francaise of Charles Maurras.The writings of Fustel de Coulanges have proven particularly profitable for many later French sociologists and anthropologists, though they were to come to reject certain of his ideas as not being confirmed by historical evidence.Christianity played a special role in the theories of Fustel de Coulanges as the subsequent religion which overtook the pagan Greek and Roman civic religion and supplanted it with a universalist system.In addition, Fustel de Coulanges wrote against the various socialist theorists of the time, emphasizing the role of private property among the earliest Greeks and Romans.This book includes a Foreword by Arnaldo Momigliano and S. C. Humphreys which points to many of the central issues involved in the reading of Fustel de Coulanges and the text of _The Ancient City_ proper. To begin, the author notes the essential necessity of studying the earliest beliefs of the ancients in an effort to understand their institutions.The author next turns his attentions to the earliest beliefs about the soul and death.In particular, the abode of the dead is discussed, as well as the need of the dead for food (noting that on certain days the ancients were to bring food to the tombs of the departed).The author also notes the practice of the worship of the dead.The deified souls of the departed were known as demons or heroes to the Greeks and as Lares, Manes, or Genii to the Latins.The author also discusses the role of the sacred hearth-fire and the worship of fire.This hearth-fire was always kept burning.Next, the author turns his attention to the ancient domestic religion, emphasizing the patriarchal society that existed and the role of the family in that religion.Each family was ruled over by the father, who may bequeath his rule to his eldest son, and each family preserved its own gods (the ancestors) and the sacred fire.The author discusses such important aspects of the ancient family as marriage (in which a meal was shared between the bride and her husband initiating the bride into the worship of the husband's family), kinship, the right of succession, property (an important institution for the ancient family, though one that was passed down from father to son exclusively), authority in the family, and morals in the family.In particular, the author also discusses the gens at Rome and Greece (noting the aristocratic nature of the Roman clan and showing the contrast between plebeians and patricians).Following this discussion, the author turns his attention to the ancient city proper.Here, the author notes how while the ancient domestic religion prohibited families from mingling, it was still possible for the ancient families to unite in a phratria (to the Greeks) or curia (to the Latins).The author also shows how new religious beliefs formed, based on the worship of natural phenomena, invoking such ancient names for the sun as Hercules (the glorious), Phoebus (the shining), Apollo (he who drives away night or evil), Hyperion (the elevated Being), and Alexicacos (the beneficent).The author shows that while the ancient family domestic religion involved the worship of ancestors, these gods came to be present for all.The author discusses the city and its various customs, including the religion of the city and its gods.Here, he notes such things as public repasts, festivals and the calendar, the census, and religion in the assembly, in the Senate, in the Tribunal, in the Army, and in the Triumph.The author also discusses various rituals, the king, the magistracy, the law, and the citizen and stranger.In addition, the author also discusses ancient patriotism and the means to exile.Finally, the author discusses war, peace, and the alliance of the gods.This brings the author to a discussion of the omnipotence of the state and the lack of individual liberty among the ancients.The next section of this book concerns the various revolutions that occurred as plebeians demanded more rights from the ancient order, leading eventually to the creation of democracy.In the first revolution, political authority was taken from the king (although the king was still to retain religious authority).The author discusses this revolution was it played out at Sparta, Athens, and Rome.At this time, the aristocracy governed the city.In the second revolution, various changes occurred in the constitution of the family and the right of primogeniture disappeared.It was at this point that the clients became free (the author mentions in particular the work of Solon).In the third revolution, the plebs entered the city.The author discusses this revolution as it played out at Athens and Rome.The author also discusses changes in the private law, the Code of the Twelve Tables, and the Code of Solon.In the fourth revolution, an aristocracy of wealth tried to establish itself and this lead to the establishment of democracy and popular suffrage.However, it is in the conflict between rich and poor that democracy failed and popular tyrants arose.The final section of this book is devoted to the disappearance of the municipal regime.Here, the author notes how new beliefs arose as the traditional religious structures were changed to become more universal.The author discusses the Roman conquest and the subsequent rise of Christianity.By calling to itself the whole human race, Christianity made the most radical change to the pagan religion. 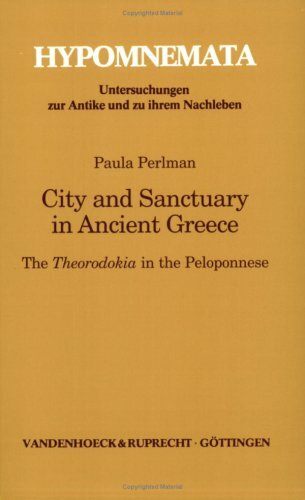 This book provides an excellent account of the earliest ancient Greek and Roman pagan religion that revolved around the family and its subsequent demise with the rise of the Romans and the beginnings of Christianity.It is the universal message of Christianity that lives on from most ancient times.This book is a fascinating sociological account of the ancient city and its religion and customs, showing in detail the ancient pagan belief system.Fustel de Coulanges is very learned and argues extensively from many ancient sources, both Greek and Roman (but also mentioning ancient Indian and Hebrew sources as well). Fustel de Coulanges describes a society that I found incredible. How could it be the case that a healthy society found itself founded solely under the patriarchal power of each family's pater? The pressure of such a state seems stifling. The father carried out the priest function for each family's hearth gods. A grander appreciation of the religion of the land led to city-making and laws. However, the father's grasp remained for a long time invincible, unquestionable. After Fustel de Coulanges establishes the city, its laws, its religion and its constituent parts, the family, it undergoes a series of revolutions. These revolutions create a diminishing of the father's power and of the priest's singular authority, while simultaneously generating a partly enfranchised lower class and, to a certain extent, individual rights. As the preface of Arnaldo Momigliano points out, there is no resolution to the paradox of the ancient city. Fustel de Coulanges seems to idealize the Arcadian piety of the earliest family groups and their persistent worship, while at the same time valorizing the rights of the individual and cessation of caste-like limitations rampant in the Mediterranean world. This history magnificently documents change. Certain shifts will seem abrupt (from the Roman Empire to Christianity in four pages), certain absences notable (there is little discussion of Alexander in Greece's history, despite such early ecumenicalism), however the might and seductive nature of the narrative make thoughtfully provoking history. As Greek and Trojan forces battled in the shadow of Troy's wall, Hephaistos created a wondrous, ornately decorated shield for Achilles. At the Shield's center lay two walled cities, one at war and one at peace, surrounded by fields and pasturelands. Viewed as Homer's blueprint for an ideal, or utopian, social order, the Shield reveals that restraining and taming Nature would be fundamental to the Hellenic urban quest. It is this ideal that Classical Athens, with her utilitarian view of Nature, exemplified. In a city lacking pleasure gardens, it was particularly worthy of note when Epicurus created his garden oasis within the dense urban fabric. The disastrous results of extreme anthropocentrism would promote an essentially nostalgic desire to break down artificial barriers between humanity and Nature. This new ideal, vividly expressed through the domestication of Nature in villas and gardens and also through primitivist and Epicurean tendencies in Latin literature, informed the urban endeavors of Rome. Great book, but not enough of Paul Cartledge! First of all, amazon.ca has made a mistake in the title of this book, which should read:...A regional history 362BC-400AD. This a great book that talks about a (mostly)unknown period of Sparta's history; Sparta after the disastrous battle of Leuctra. However, if you have no prior knowledge of the Archaic and classical Sparta,this book may seem a bit difficult. If this is the case, I would recommend that you read the excellent "Sparta and Lakonia: Getting on with Anthropology"(ASIN:0415262763), by Paul Cartledge, which is my opinion the definite book on Sparta. 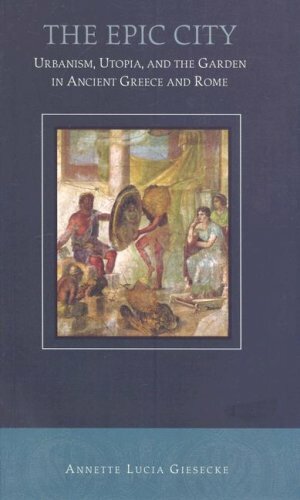 The first part of this book, which is written by Paul Cartledge,the world expert on Sparta, talks about Sparta during the troubled Hellenistic period. Cartledge is very interesting as always. 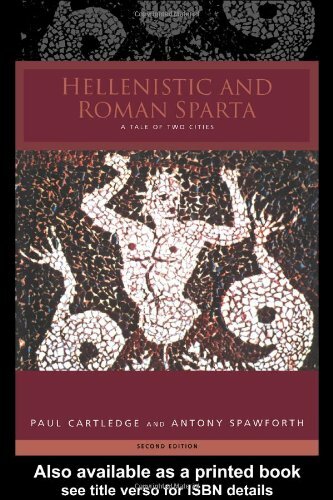 The second part, written by Anthony Spawforth, details Sparta as a roman province, but it lacks the writing and expertise of Paul Cartledge. Still, it is a must for anyone interested in Sparta (maybe a bit academic though).